Dimensions 1 by 9 by 11.25 in. Spider-Man (Fictitious character); Juvenile literature. Amazon.com description: Product Description: The ultimate web-slinger is back in this exciting and informative ultimate guide. 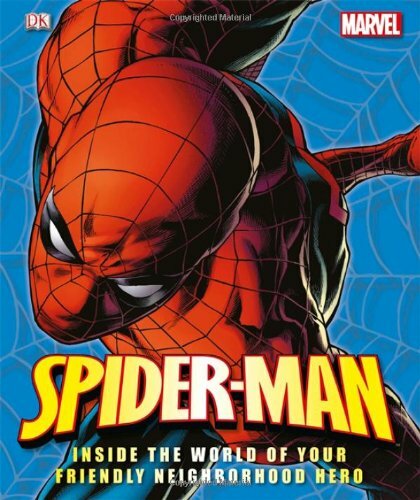 Spider-Man: Inside the World of your Friendly Neighborhood Hero traces Spider-Man's entire career from his high-school beginnings as Peter Parker to his love affair with the enchanting Mary Jane. With foreword by Stan Lee and full details of Spidey's powers granted from the bite of an irradiated spider, as well as significant adventures, battles, loves, allies, and enemies, this all-inclusive book has a strong focus on storylines and conflicts within Spider-Man's world. Come to find out how your friendly neighborhood Spider-Man came to be created in 1962 and how the character has developed over the years. Full of interesting facts and dynamic comic book art, Spider-Man: Inside the World of your Friendly Neighborhood Hero is the tell-all to the famous Amazing Spider-Man. TM & Â© 2012 Marvel & Subs.